Digitally printed photographs and text. Title and description hand set and printed letterpress using Roman Compressed and Caslon typefaces on Velin Arches paper, mounted on green Hahnemule paper. 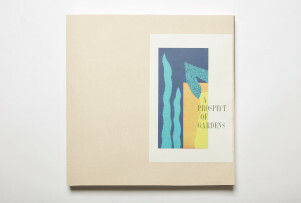 A Prospectus for A Prospect of Gardens, Susan Allix, 2015. 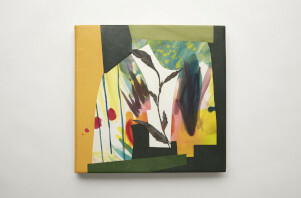 Crafts Council Collection: AM486. Photo: Stokes Photo Ltd. In providing a short introduction to the idea, content and making of the book, and in referencing the diverse aspects of the piece it summarises the completion of one of my larger and more complex works. I am never happy with a prospectus; it is always inadequate compared to the real object.